Dating to 1929 this pre-war game is intriguing, do you know any more about it? 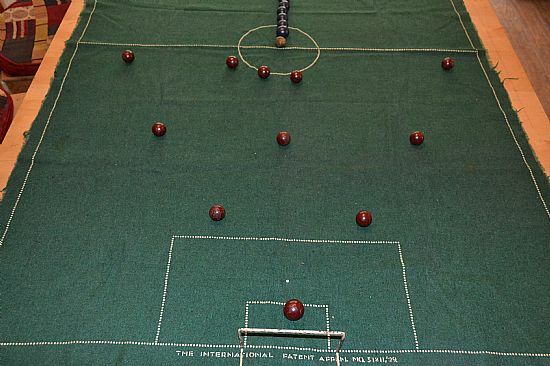 A mix of football and billiards - but did you use cues or fingers? 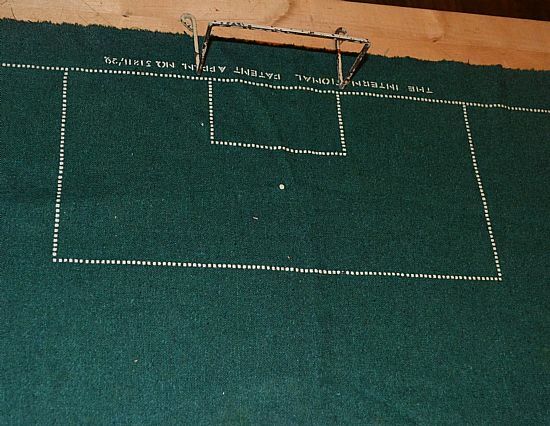 A bit of a mystery game, no box or instructions. 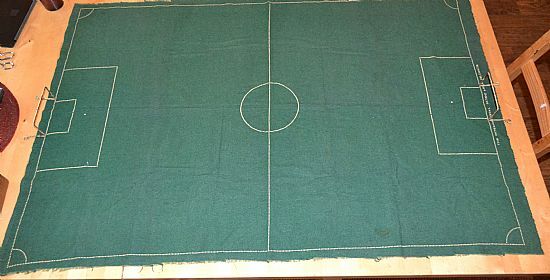 Very high quality baize dated 1929 by the patent application details. Two eleven a side teams made from wood or composite material, very dense and sturdy plus a sponge type ball. The teams line up and I am sure you recognise many world famous footballers in the line ups! Game called The International with a 1929 patent date. Do you know more about this game? Nice early printed cloth pitch - without D on the edge of the area. Lovely heavy duty balls, with the keepers being a little larger. Naturally 2-3-5 was the formation of the day.